Story: Skippy is one of the kids living in Nottingham. 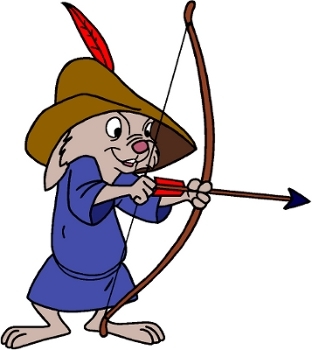 Background notes: Skippy is one of the characters created for the Disney version of Robin Hood. Like the rest of the cast, he first appeared in the cartoon Robin Hood in 1973 (voice by Billy Whittaker), and like the rest of the cast, it has been the only appearance in cartoons so far. In the team of kids, Skippy is the brave and adventurous one who helps Robin Hood. In comics, he appeared with the rest of the cast in the comic book adaption of the cartoon from Gold Key in 1973, and appeared in the following series The Adventure of Robin Hood which lasted seven issues from 1974 to 1976. After the series folded, only a few Robin Hood stories were made during the late 1970s and the 1980s, and in these, Toby and his friends only appeared in one in 1984. A single figurine with Skippy has been seen, but other than that, the character hasn't been seen in other media.